Beautiful Things. Winter Woolies has been creating gently hand-crafted wool apparel and house-wear goods since 2011, perfect for the outdoors enthusiast who appreciates Quality made, Modern Crochet/Knit wear. Each item is made by myself in Victoria BC with patterns that I have created over the years of trial and error. I only use the highest quality wools that are ultra soft and non-itchy that are ethically and locally sourced from island wool shops whenever possible. Woolies are available Worldwide Online on Etsy & handmade on the beautiful West Coast in Victoria, BC. My name is Kristen and I am the owner and curator of Winter Woolies Shop. I proudly make every item by hand paying close attention to details and only using quality materials. 100% Handmade. All items are based on original designs made by myself and crocheted with care. You usually find me making beanies at local coffee shops around the city of Victoria BC or in our beautiful sun room at home. Use only the Best Materials. I love playing with different kinds of yarns and use only the highest quality soft, non-itch wools. On our website and in store you will find Merino, Alpaca and Acrylic wool apparel, that is durable, long-lasting and hypoallergenic. Support Local. I do my best to shop at local small independently owned yarn shops as much as possibly and collaborate with independent artists in the community. Designs are made to portray a modern style of crochet wear, giving something special for everyone. Tag your Woolie #winterwooliesshop on Instagram for your chance to be Featured on our IG Account! Insert camping season ... “here”🌲____🌲 . . . But seriously, the best camping beanie out there!! Light weight and breathable for those tough hikes but cozy enough in the evening for a toasty campfire 🔥 . 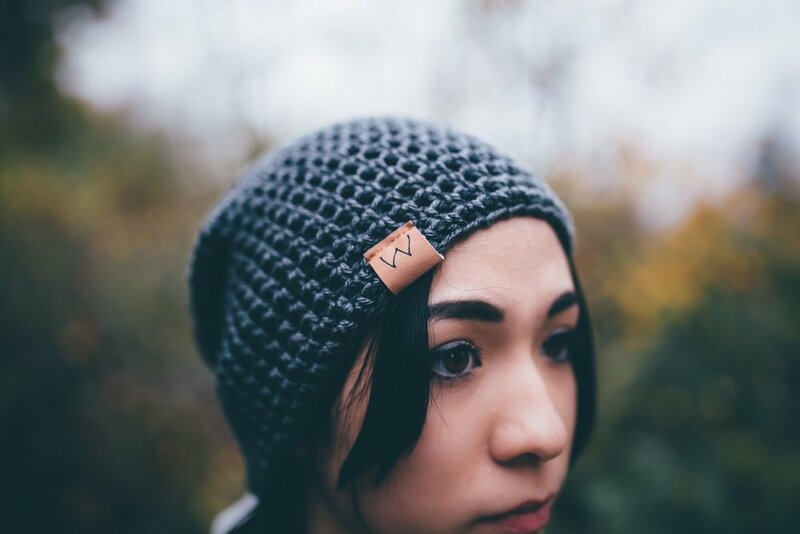 @amyluells wearing our Merino Wool Beanie in Taupe. Thank you! You will hear back from us in 1-2 Business Days.